Ernest (Ernie) Mahaffey has encouraged entrepreneurship and community development during most of his professional career. Usually managing or facilitating small enterprises, Ernie has founded several for profit and not for profit businesses, and community organizations. He believes a Community Entrepreneur as one who collaborates with others in economic endeavors to improve the well-being of communities. Most recently Ernie has been working in Chicago as a volunteer small business coach, often with the Chicago Urban League ‘s Entrepreneurship and Innovation Center (CULEIC). 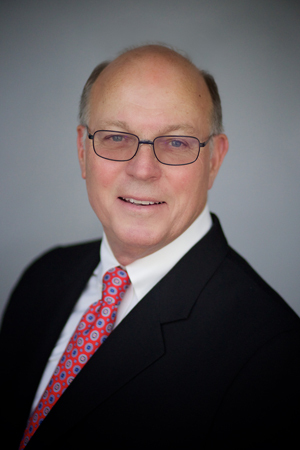 Also in Chicago, Ernie has served with Executive Service Corps (ESC) since 2006, and has been trained as a consultant in Strategic Planning, Board Development, Fund Raising and Executive Coaching, and has worked on numerous projects. ESC was set up almost 40 years ago to provide high quality management consulting services for the not-for-profit sector in the Chicago region. Ernie was part of an ESC task force developing a practice to help NFPs set up net revenue-generating businesses – Social Enterprises. He also co-founded the ASPEC Entrepreneurship and Community Development group in St. Petersburg FL. The group engages entrepreneurship training, economic development and community renewal in St. Petersburg, as well as works with faculty and students interested to create for-profit, non-profit and social enterprises. Most recently Ernie was certified as an official “Practitioner” of Eckerd College’s Entrepreneurship Mindset Profile (EMP) personality and skills assessment tool for business leaders. Prior to that, Mahaffey, together with a group of Fox River Valley (Illinois) stakeholders, founded the CBEID.org (Center for Business Education Innovation and Development NFP), and served as President. CBEID (2008-2017) was an all-volunteer initiative (501c3) promoting entrepreneurship in the region. CBEID evolved out of Geneva Learners, which Ernie co-founded in 2005. Geneva Learners meets weekly to study world affairs and important domestic issues. Ernie was part of the group that organized the Fox Valley Entrepreneurship Center (FVEC), which recognized him with FVEC’s President’s Award 2016. Ernie’s last for-profit venture was Distributors International LTD (DI Group), an export sales and marketing company, which he founded in 1989. DI Group sold, brokered and distributed upscale American retail food products to premier retailers in developed countries around the world (Harrods, Lafayette Gourmet, Oliver’s, etc.). Prior to founding DI Group, Ernie was Vice President with Chase Manhattan Bank. For 16 years he financed Japanese and Korean Trading Companies; managed relationships with Japanese, Korean and Taiwanese banks; and was General Manager of Chase’s international trade finance and consulting businesses with Midwest Fortune 500 Companies (Chase Bank International – Chicago). Ernie has been a member of the Chicago Council on Global Affairs since 1980 and has served on the Executive Committee of the Global Chicago Center and as a member of two task forces: A Shared Future: Economic Engagement of Chicago’s Mexican Community, 2006 and The Global Edge: An Agenda for Chicago’s Future, 2007. From joining ASPEC (The Academy of Senior Professionals at Eckerd College) in 1998, Ernie discovered that “learning groups” are good vehicles for organizing experienced, curious people to stay engaged with meaningful issues. At ASPEC, in addition to the Entrepreneurship Group, he co-leads the interest group Discussing Differences Online (DDO). Chautauqua Institution is a community in which Ernie finds stimulation, refreshment and passion. In addition to the intense educational and cultural environment, Chautauqua is also the source for some significant community projects. For several years, Ernie has been involved with a group working to help highlight African-American cultural and religious traditions at the Institution. He is on the founding Board of the non-profit organization the African American Heritage House). Ernie for several years was a member of the European Commission sponsored ENGIME project and was part of the subsequent project, SUS.DIV, studying ethnic diversity and innovation and economic growth in urban settings. He attended conferences in England, the Netherlands, Germany, Turkey, Italy and Slovakia, and presented on ethnic diversity in the Midwest (especially Global Chicago) and on entrepreneurship. Ernie lives in Chicago, IL and St. Petersburg FL. He is a past member of the Geneva’s Strategic Plan Advisory Committee and co-founded ICEC (the International Cultural Exchange Committee) for international cultural exchange partnerships. He was on the Geneva Affordable Housing Task Force. And Ernie served on the boards of Chicago Shakespeare Theater (Founding Member) and Preservation Partners of the Fox Valley. And while in Geneva, Ernie organized a small company, Sound Energy LLC, to do historic renovations with energy-saving techniques. In St. Petersburg, Ernie is a member of the Chamber of Commerce, Downtown Partnership and Tiger Bay Club.